Have you ever heard the saying “Make sure you wear clean, cute underwear just in case you get in an accident and end up in the hospital?’ I mean really? Do you really think the hospital cares? Thanks Mom. Then I think hmmm maybe there is some truth to that, I mean, it could happen right? Putting hospital and fashion in the same sentence seems like an oxymoron. I take fashion seriously, so serious that when I first opened my studio in 2006 I carried Dear Johnnies in my boutique, the ultra fashionable hospital gowns worn by celebrities like Tori Spelling and Jennifer Garner. 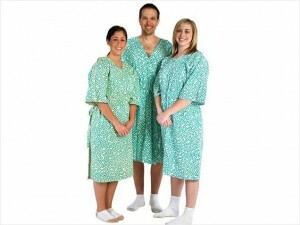 To me what you wear has an impact on how you feel, so if you are in the hospital having a baby or going through surgery and are wearing a torn, beaten up hospital gown it’s like a double whammy. To quote Miranda Priestly from The Devil Wears Prada I asked for clean, athletic, smiling. She sent me dirty, tired and paunchy. The last part of that quote, if hospital gowns could talk would probably be what they are saying. One of my ultra-favorite designers, Diane von Furstenberg, is taking her designer fashion to The Cleveland Clinic; one of the country’s premier medical facilities. DVF has helped revamp Cleveland Clinic’s hospital gowns with hints of her signature wrap dress to boost patients’ morale and comfort. 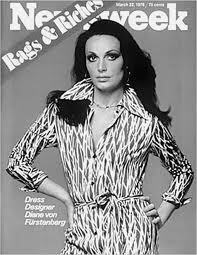 It became a challenge for DVF to create, it wasn’t just about fashion but about upgrading what the basic hospital gown lacks. The current model is a full-coverage, reversible design, incorporating the Cleveland Clinic’s diamond logo into von Furstenberg’s signature repetition pattern. Other changes include an elastic waistband, wrap-around closure, and a wide V-neck to accommodate chest monitoring and stethoscopes. I have no idea why we are just now doing this? If we have designers creating ultra-chic fashionable uniforms for airlines from Vivienne Westwood for Virgin Atlantic, Prabal Gurung for All Nippon Airways and Martin Grant for Qantas (I am still trying to get my hands on Delta’s fabulous knock out red wrap dress) why in the world would we not be creating look good/feel better hospital attire when you are not at your best? To some I am sure this sounds completely petty, but hear me out on this. As a makeup artist I know the power of makeup. For instance, when you walk out of the house sans makeup do you really feel confident? Want to meet new people? Go to a job interview? I would guess your answer would be “No”. Now on the other hand when you put on great foundation, mascara and a little lip gloss you feel like you can conquer the world/put your best face forward/meet that cute boy at the juice bar. The same goes with how we dress, when you feel like you look good you feel better no matter if you are dressing for night out or stuck in a hospital room. 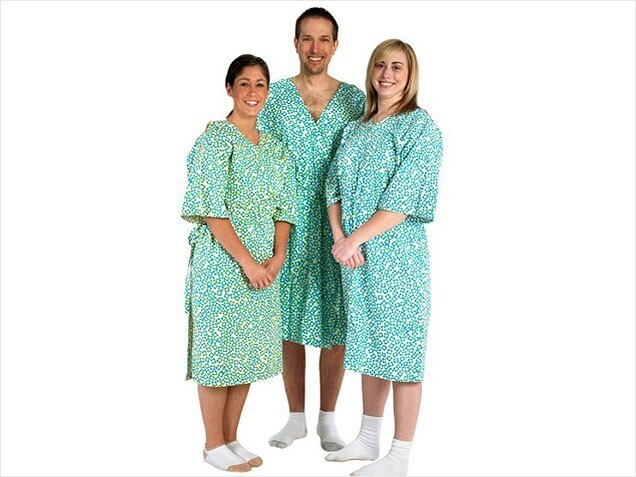 There is no better time than when at the hospital to have the option of a fabulously chic hospital gown to get you back on your feet pronto. I was thrilled when I got to meet Diane von Furstenberg in 2011 at her perfume launch. Take a look at my brief meeting below.